LOS ANGELES FOOD & WINE FESTIVAL RETURNS AUGUST 22-26, 2018 FOR ITS EIGHTH YEAR OF EXTRAORDINARY EPICUREAN EXPERIENCE. Post Coverage Blog and photos- We had the pleasure to go on thursday night downtown and sunday at Barker Hanger for the grand tastings and what a treat. Get your tickets for next year when they come out as this event is not to miss. Plenty of food, wine, spirits, beer and other vendors to showcase and enhance your evening. No wonder they have expanded to more events as they keep getting more popular as it was a packed house at Barker on Aug. 26th. WHAT: Presented by founding partners FOOD & WINE and Lexus, Los Angeles Food & Wine returns August 22-26, 2018 with its 8th annual all-star chef lineup and exclusive programming. Featuring a dynamic blend of nationally-acclaimed star chefs as well as Los Angeles’ most-celebrated restaurants, the festivities include tasting events hosted by culinary luminaries along Downtown’s Grand Avenue, afternoons at the Lexus Grand Tasting at The Barker Hangar in Santa Monica, as well as an exclusive Kick-Off Dinner and Power Lunch series, bringing some of the country’s top talent to the city of angels. 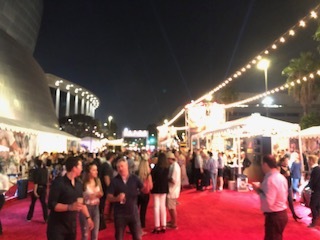 Voted Southern California’s #1 Food, Wine & Hospitality Event for the past six years by BizBash, Los Angeles Food & Wine is this summer’s highly anticipated, can’t-miss food festival. o Named Eater L.A.’s “Most Exciting New Restaurant and Lounge,” the highly-anticipated DAMA at City Market South in Downtown’s fashion district hosts Antonia Lofaso (Black Market Liquor Bar, Scopa Italian Roots) as she teams up with New Orleans’ Aarón Sánchez for a four-course lunch. o Enjoy an exclusive luncheon hosted by James Beard-nominated chef Casey Lane at Breva’s Gran Sala, alongside the creative and talented Joey Elenterio of Paligroup and King of Caviar Michael Passmore of Passmore Ranch. o At local hangout and can’t-miss tourist hot spot Rose Café in Venice, chef Jason Neroni keeps to what the community knows and loves. He’s excited to welcome FOOD & WINE’S Best New Chef Jon Yao of Kato and Seattle’s James Beard Award-winning Brady Williams for a laid-back afternoon on the patio and good vibes, great food, and a perfect summer playlist from Neroni himself. o Indulge at one of the city’s top Italian dining destinations, Rossoblu, where chef Steve Samson creates a memorable lunch inspired by summers spent in Bologna, Italy. Samson joins James Beard Award winner for Best Chef Southwest, Denver’s Alex Seidel, who is soon to open a new fast-casual rotisserie chicken concept, CHOOK. o Chef Michael Reed, helming from Osteria Mozza and Michelin-starred Sona, teams up with Food Network’s Robert Irvine for a quintessential, breezy-beachy lunch at the adored Viviane in the Avalon Hotel Beverly Hills. With these two power-house chefs, there’s no limit to what kind of magic this dynamic duo will whip up in the kitchen. 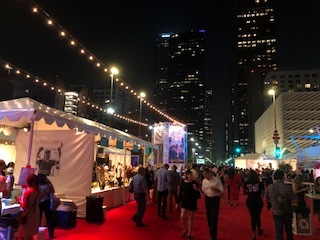 Friday, August 24 – Replacing the traditional Night Market in Downtown Los Angeles is an all-new Heat on the Street on Grand Avenue, hosted by Robert Irvine, Susan Feniger, Mary Sue Milliken, and Aarón Sánchez. This “Friday Fiesta” brings all the nuanced flavors of Latin cuisines to the plate, serving ceviche, tacos, carne asada, nopalitos, and more, with perfectly paired cervezas, tequila, and delectable wine. The Lexus Grand Tasting at The Barker Hangar on Saturday, August 25 and Sunday, August 26 afternoons is a Westside strolling event featuring more than 25 celebrity chefs and 200 wines. In addition to endless bites and sips, guests have access to book signings and photo opportunities with some of the weekend’s biggest celebrity chefs, including Curtis Stone, Lexus Culinary Master Michelle Bernstein, and Alex Seidel. 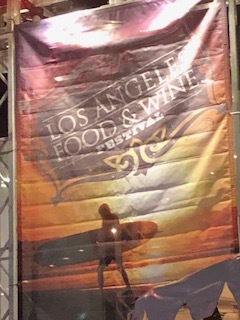 Please continue to visit LAFW.com for updates and details on full programming of events, chefs, wineries, sommeliers, and mixologists participating at the 8th Annual Los Angeles Food & Wine festival. 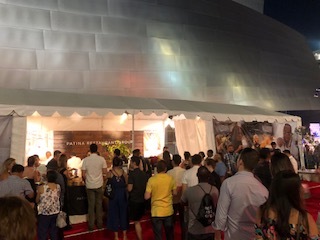 PHOTOS: Images of the Los Angeles Food & Wine festival (2017) for pre-event coverage are available to view/download by clicking here. SPONSORS & PARTNERS: 2018 sponsors for Los Angeles Food & Wine include: FOOD & WINE, Lexus, Chase Private Client, The Venetian, Angry Orchard, Glenfiddich, Monkey Shoulder, Verizon, Acqua Panna, Bulleit, ChefWorks, Don Julio, Hendrick’s Gin, S. Pellegrino, and more. Coastal Luxury Management, LLC (CLM), co-founded and managed by CEO David Alan Bernahl II, creates unique experiential opportunities in the hospitality, entertainment, restaurant, and event sectors. In addition to being named one of Inc. Magazine’s “Top Food & Beverage Companies” in 2012 and 2013, CLM has also been included in the annual Inc. 500/5000 ranking of the fastest-growing privately owned companies in the United States for the past two years. CLM produces Pebble Beach Food & Wine and the Los Angeles Food & Wine Festival, both recognized for the curation of the highest caliber of culinary and wine talents to create once-in-a-lifetime experiences. CLM’s catering division, Coastal Luxury Catering, combines the company’s restaurant and event divisions to offer full-service event planning and catering services for a variety of social, corporate, and non-profit events throughout the country. CLM’s restaurant division includes: Cannery Row Brewing Company, home to one of the largest draft and bottled craft beer selections in Central California; and is recognized as the founder and visionary behind Los Angeles’ iconic Faith & Flower, which under CLM’s leadership was an Esquire magazine national Best New Restaurant” honoree in 2014. In the winter of 2013, CLM launched Vessel. Aimed towards redefining the way people dine, Vessel offers a highly curated selection of glassware and tabletop accessories sourced from across the globe for retail consumers and restaurant venues. For more information about Coastal Luxury Management, please contact media@clm-ca.com. FOOD & WINE is the ultimate authority on the best of what’s new in food, drink, travel, design, and entertaining. FOOD & WINE has an extensive social media following on Facebook, Twitter, Instagram, Pinterest, Tumblr and Foursquare. FOOD & WINE includes a monthly magazine; digital editions on the iPad, Kindle Fire and Nook Color; a website, foodandwine.com; a books division; plus newsletters, clubs, events around the globe and a restaurant partnership, Chefs Club by FOOD & WINE.